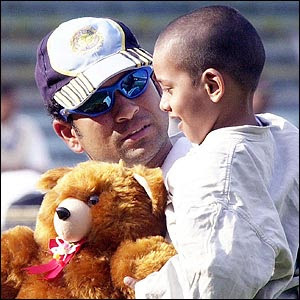 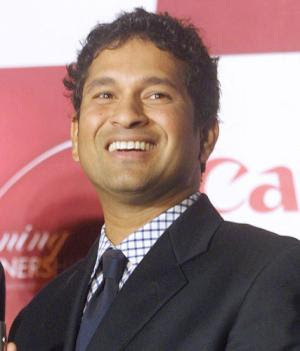 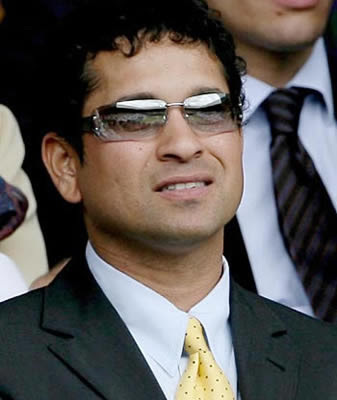 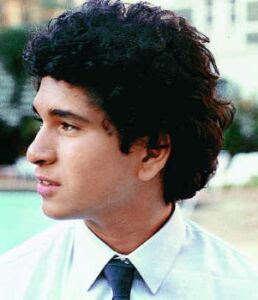 Sachin Ramesh Tendulkar, the most famous cricketer ever was born on April 24, 1973 in Mumbai. 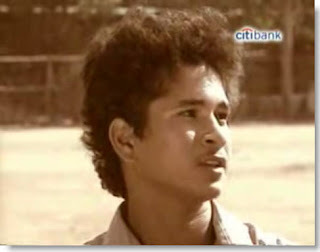 His childhood idol in sport is John McEnroe, and this early photo reveals his interest in tennis. 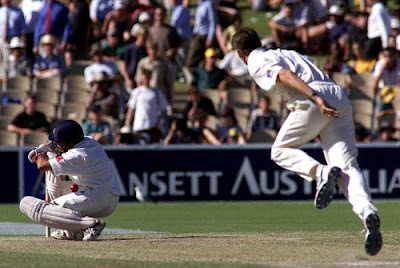 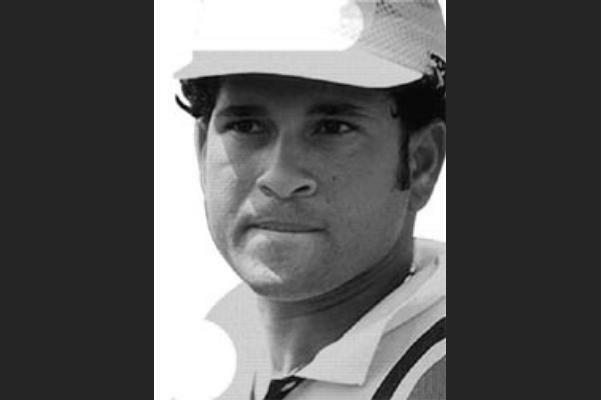 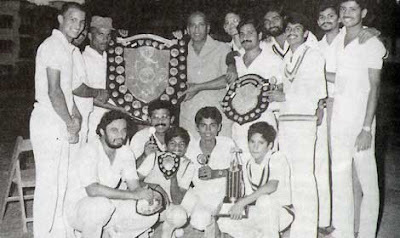 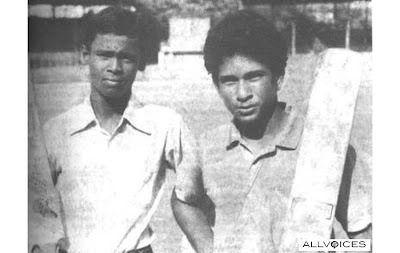 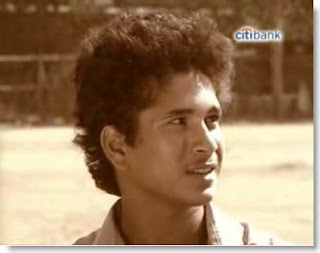 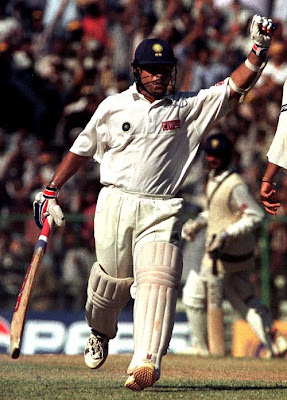 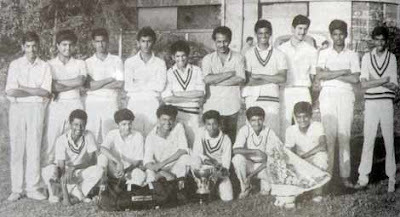 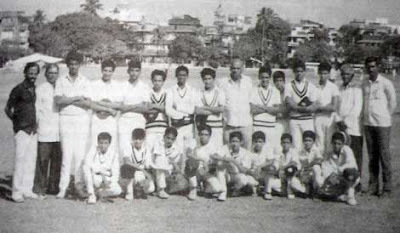 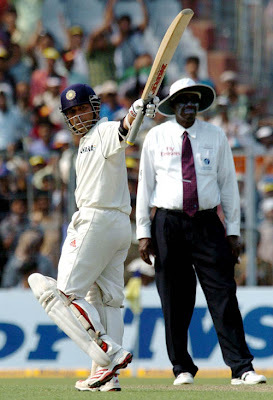 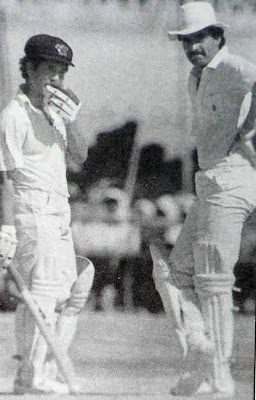 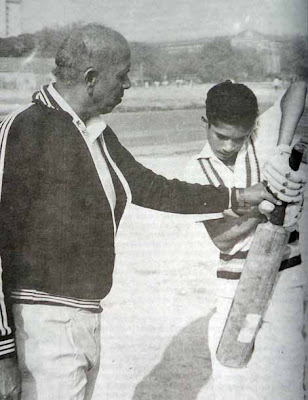 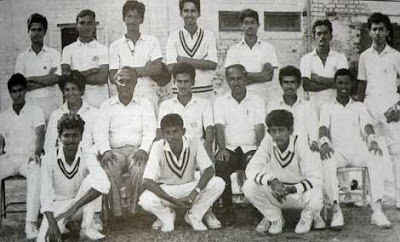 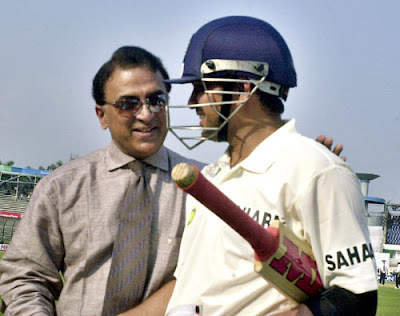 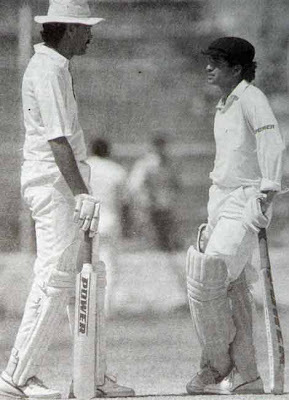 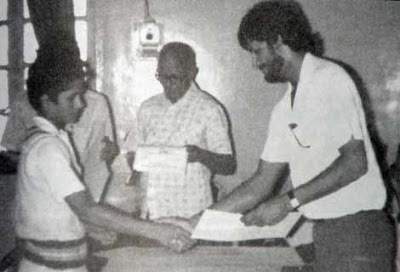 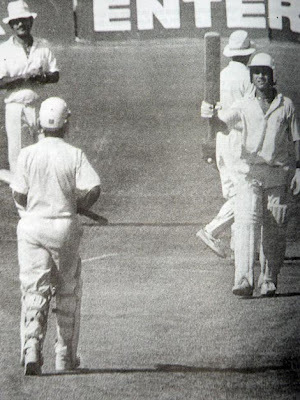 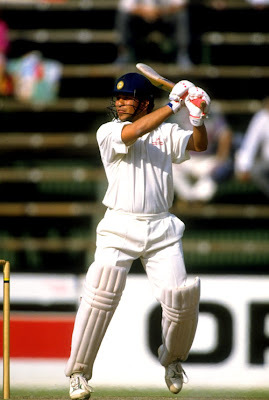 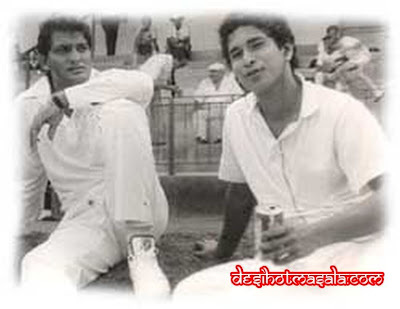 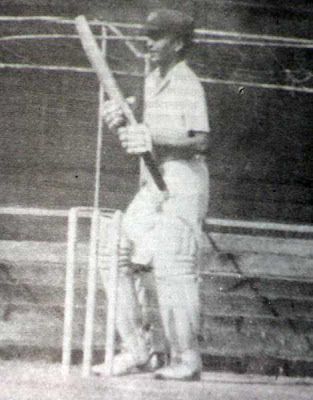 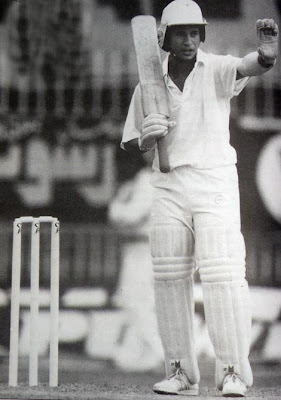 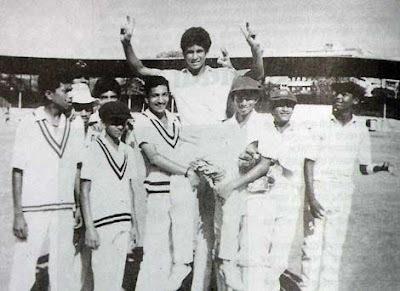 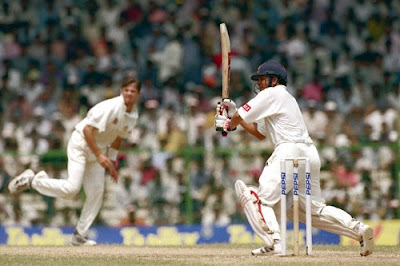 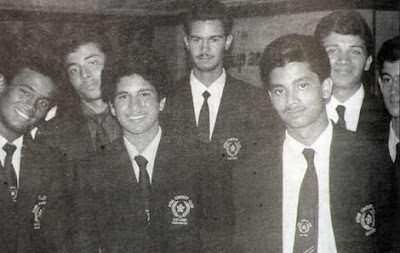 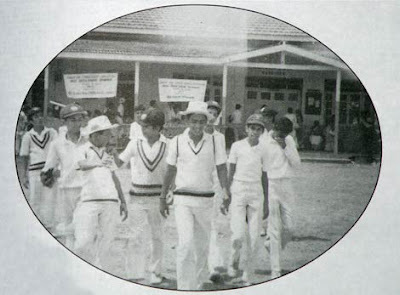 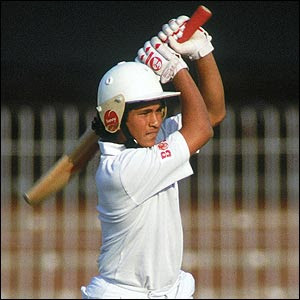 Sachin's debut match was against Pakistan in a test match on 1989. 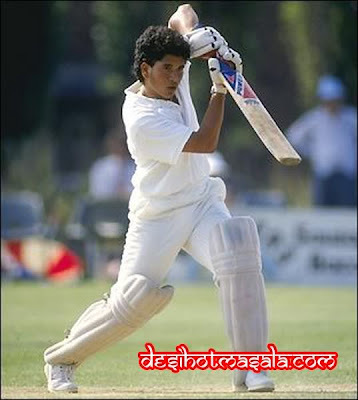 His one-day international (ODI) debut was on December 18 against Pakistan. 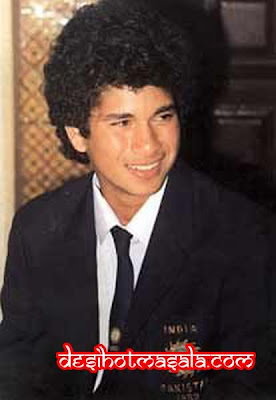 His maiden ODI century came on September 9, 1994 against Australia in Sri Lanka at Colombo, just six years after his debut. 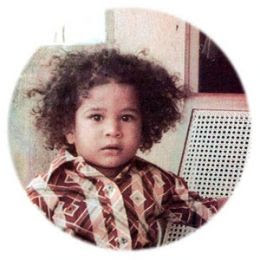 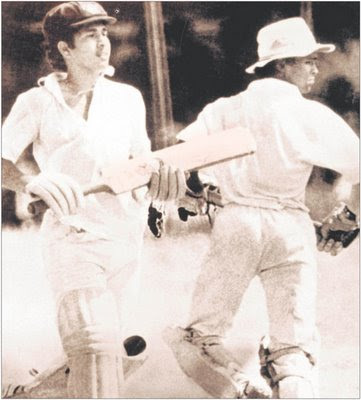 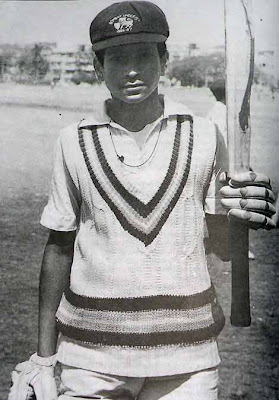 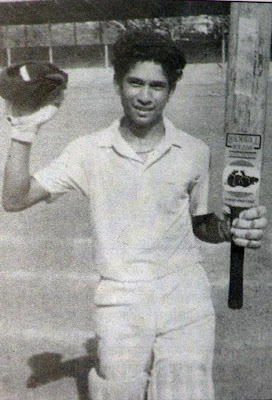 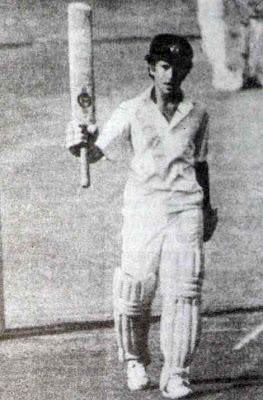 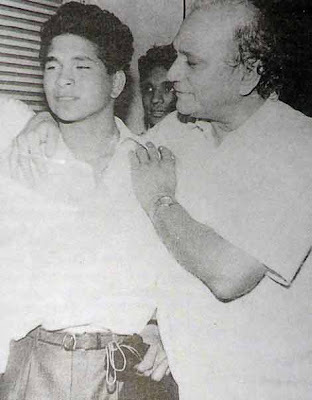 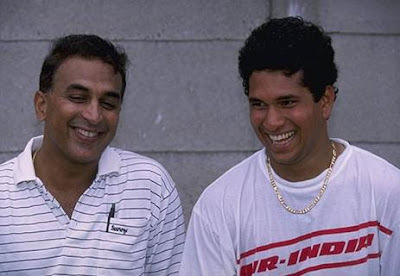 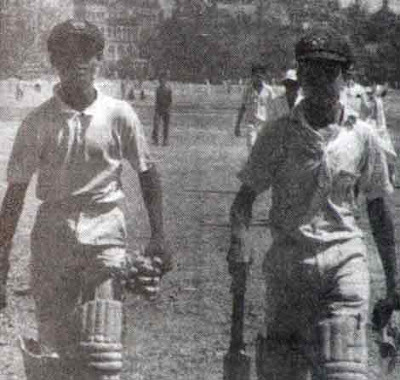 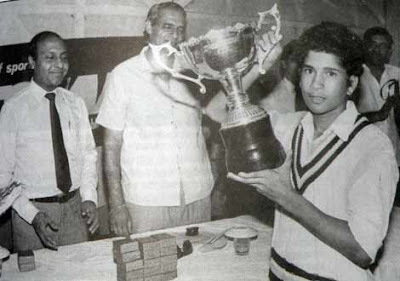 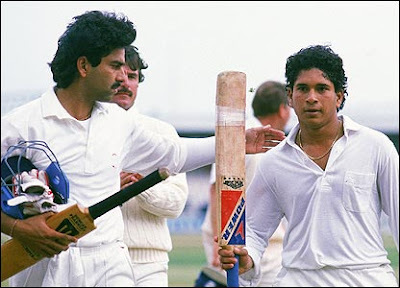 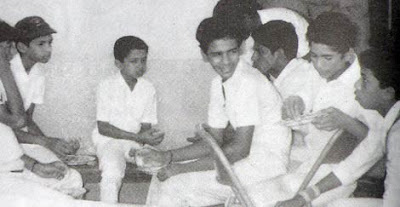 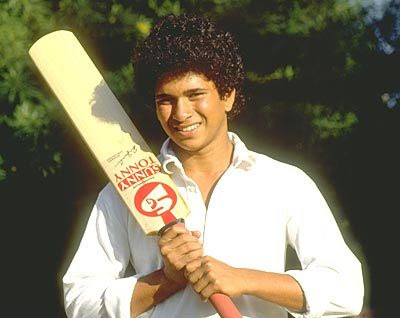 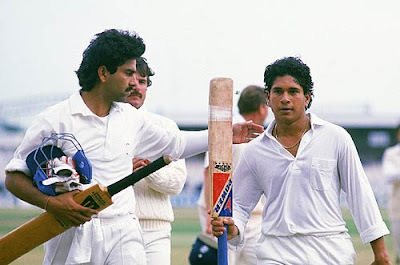 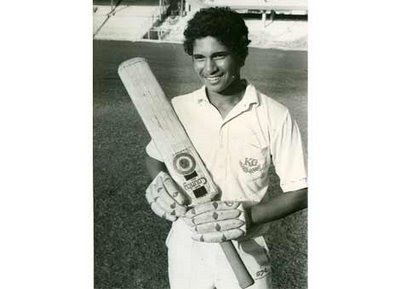 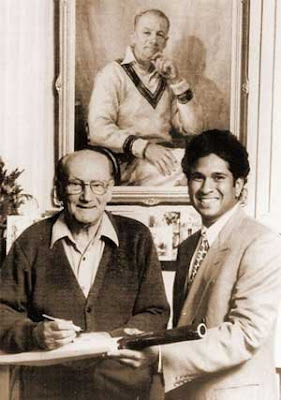 On December 11, 1988, aged just 15 years and 232 days, Tendulkar scored 100 not out in his debut first-class match for Bombay against Gujarat, making him the youngest Indian to score a century on first-class debut. 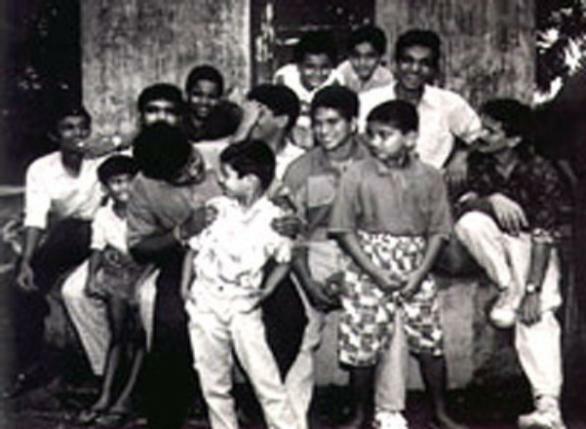 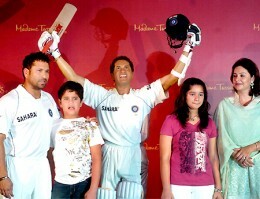 Family: Father - Ramesh Tendulkar, Mother - , Wife - Anjali Mehta, Daughter - Sarah, Son - Arjun, Brothers - Nitin & Ajit Tendulkar, Sister - Savita. 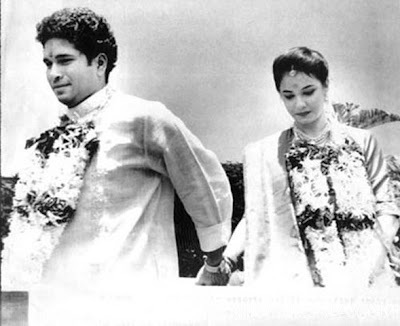 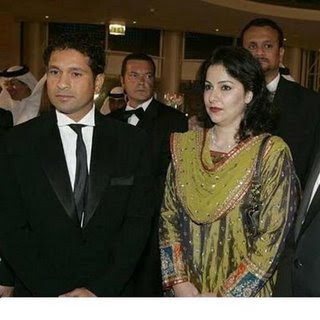 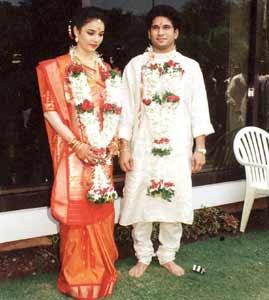 In 1995, Sachin Tendulkar married Anjali (born November 10, 1967), a paediatrician and daughter of Gujarati industrialist Anand Mehta. 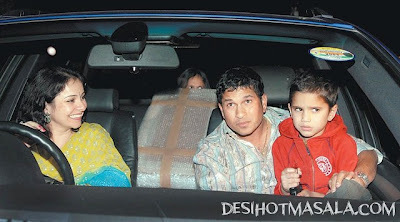 They have two children, Sara (born October 12, 1997), and Arjun (born September 24, 1999). 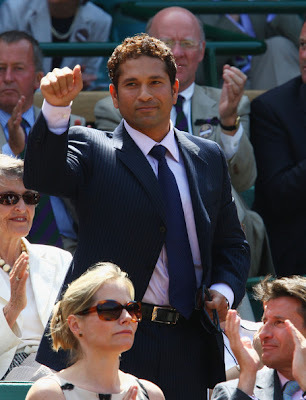 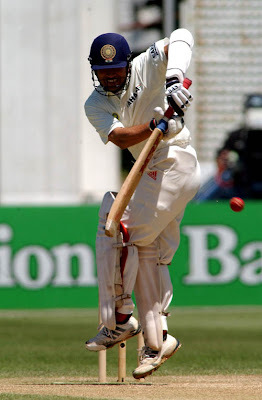 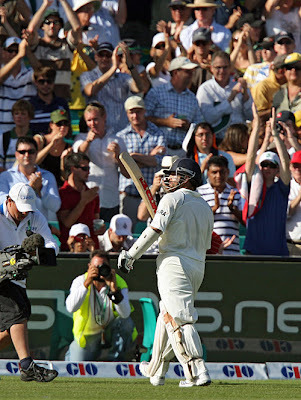 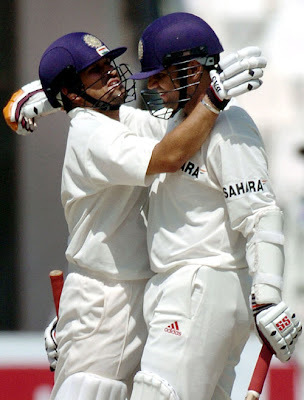 Sachin now holds the record for having taken most one-day runs (17000+) and centuries (45). 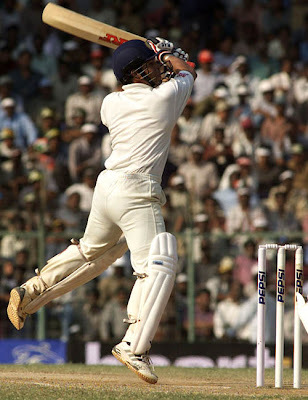 Highest Score - 186*. 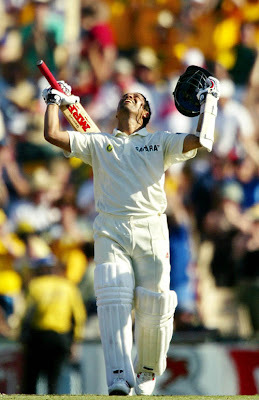 He belongs to the group of rare sportsmen and his records might never be broken. 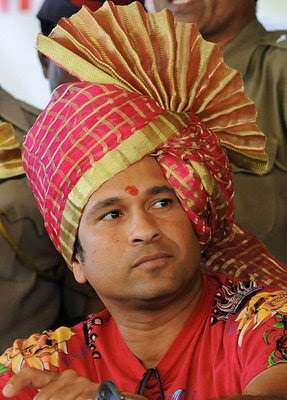 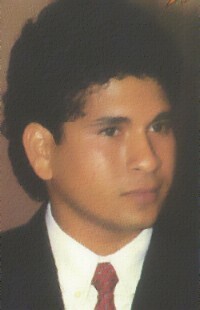 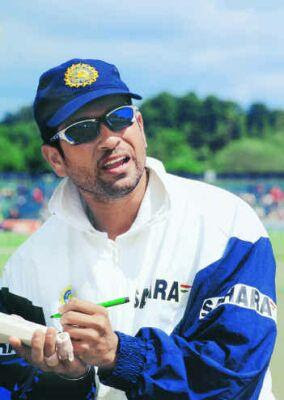 Sachin Tendulkar has also captained India for few years. 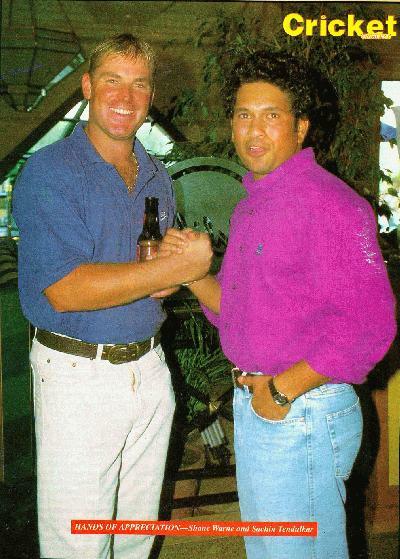 Hands of Appreciation- Sachin Tendulkar and Shane Warne. 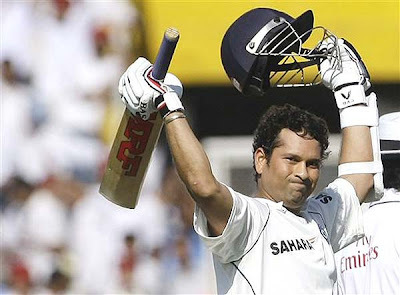 Riding on his fantastic performance in the tri-series in Sri Lanka, veteran Indian batsman Sachin Tendulkar today returned to the top-10 of ICC one-day rankings, rising five places to seventh. 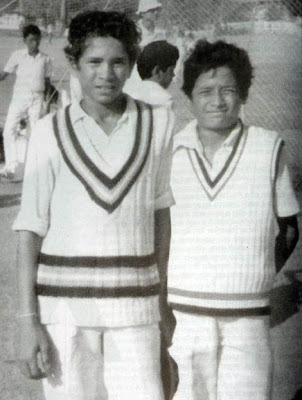 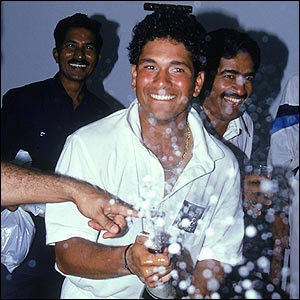 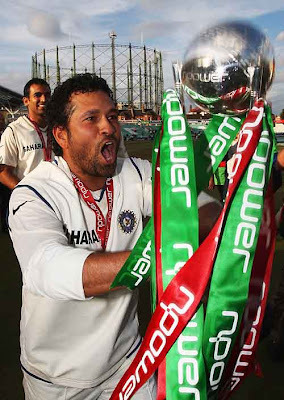 Sachin Tendulkar's 20-year long career, two weeks short of completing his two decades in international cricket. 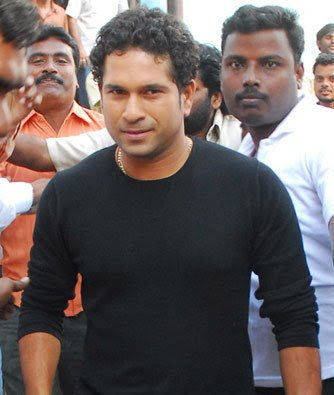 People walk past a sand sculpture of Sachin Tendulkar and 20 bats, made by sand artist Sudarshan Patnaik, unseen, at a beach in Puri, India, Saturday, Nov. 14, 2009. 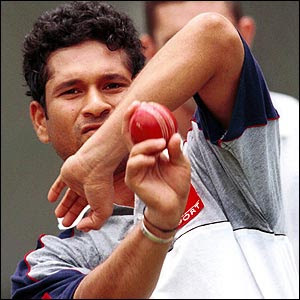 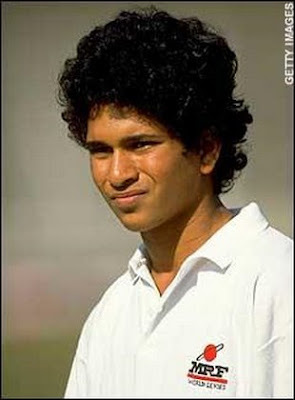 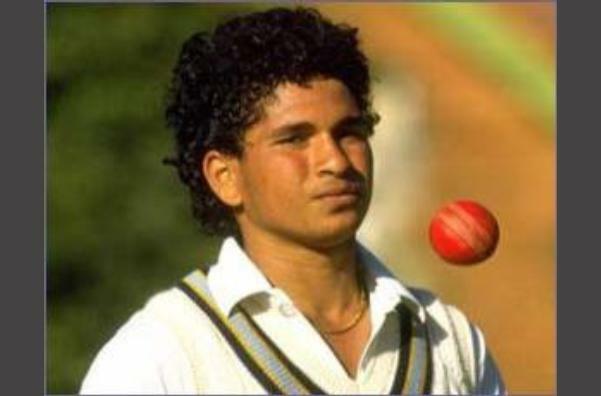 Tendulkar will complete 20 years in international cricket Sunday. 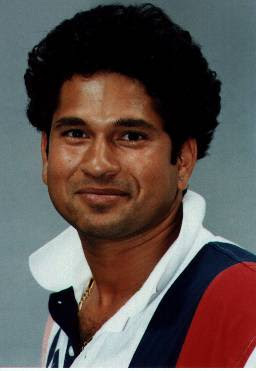 We all Indians are lucky and proud to have Sachin Tendulkar in our country. 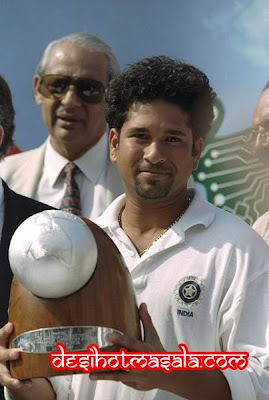 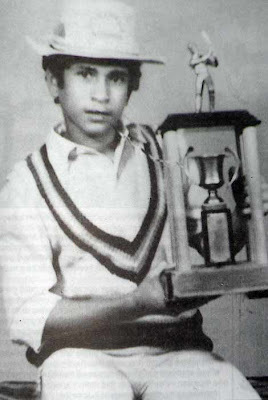 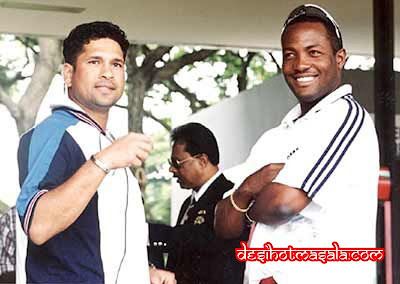 Congratulations to a master blaster for his 20 years successful journey in International cricket. 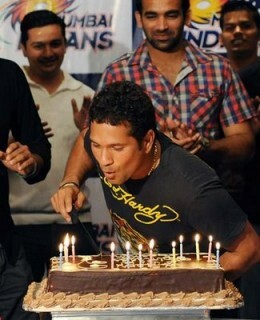 Wishes in the name of all his fans and from each and every true Indian for him to play more more years for our our country. 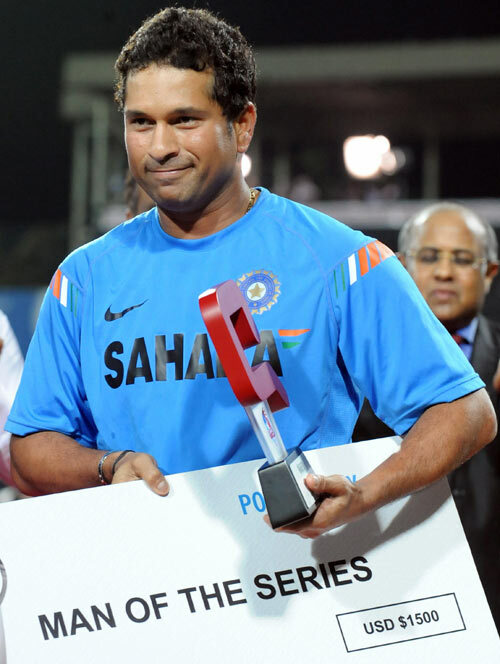 Thanks for his contribution to INDIA.